Open house Saturday April 27th 10am-5pm and Sunday April 28th 1pm-5pm! MOVE-IN READY, RAVENNA HOMES 1.5 story 4 bedroom, 4 full baths, 1 half bath, 3 CAR GARAGE on large corner lot! Features 12-foot ceilings that extend past open dining room and leads into the family room. Amazing 20â€™x19â€™ family room features a full wall of windows with a corner fireplace. Open concept kitchen is a MUST SEE! 42 inch raised panel cabinets and an over sized island with granite counter tops, hi-bar seating. Patio has been upgraded with brick columns and is extended. Master bath includes 6 ft soaking tub, separate shower and his/her vanity sinks. Large walk-in closet. Upstairs game room, 15â€™x12â€™ bedroom(or media room)with super sized closet, and fall bath. Each bedroom has it's own private bath. Powder room for guests! Schedule a tour TODAY! Directions:From I-10 West to FM1463 South, turn right on North Firethorne Road, turn right on South Firethorne road, turn right on Port Mist, sales center on on the left. SchoolsClick map icons below to view information for schools near 29127 Wood Lily Katy, TX 77494. Home for sale at 29127 Wood Lily Katy, TX 77494. Description: The home at 29127 Wood Lily Katy, TX 77494 with the MLS Number 4500537 is currently listed at $399,900 and has been on the Katy market for 150 days. 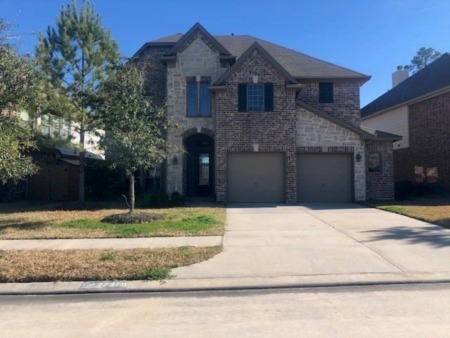 You are viewing the MLS property details of the home for sale at 29127 Wood Lily Katy, TX 77494, which is located in the Firethorne subdivision, includes 4 bedrooms and 5 bathrooms, and has approximately 3326 sq.ft. of living area.